You’ll save up for a long time before you can afford to buy a home or a car. 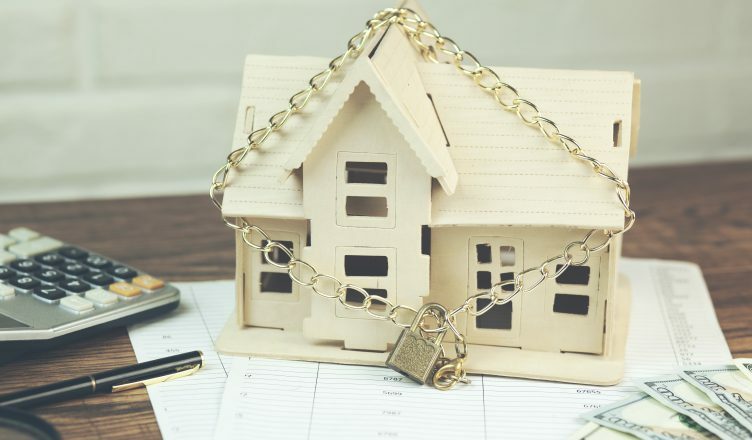 It can be a little scary to finally sign the check and put down a huge down-payment on one of these types of purchases – there goes your money! It’s gone! It’s not gone, of course. It’s just that you’ve transferred your money into your purchase. As long as you keep paying your mortgage, you’ll own your home – and that means that you can sell it if you ever want (or need) to, and get that money you spent back (or a bit more or less, as we’ll soon discuss!). These things are your assets, and they’re just as important as your savings accounts and the other things that make up your net worth. Your home and your car aren’t purely investments in the way that your stock and bond holdings are. After all, you can’t drive your stocks to work or sleep in your bonds! If your stocks and bonds don’t earn you interest, you’ll be pretty unhappy with them (what’s the point? ), but if your car depreciates in value, that’s expected. Still, it’s worth thinking of your house and your car at least a little bit like they’re investments. Your car will be worth less in five years than it is now, but how much less? You have at least partial control over the answer. And your home’s value will fluctuate with the real estate market, but that isn’t the only factor in its value. Spending money on routine maintenance for your car or your house isn’t exactly glamorous, but it’s absolutely essential. Both your car and your home are full of complex systems what move fluids and channel electricity through them. Without routine maintenance, these systems can fall apart and make a massive mess – ruining the value of one of your most expensive purchases. So make a schedule for routine maintenance and follow it. An exhaustive maintenance routine can help your car run longer and will preserve your home’s security and value. Imagine being able to sell your car fifteen years from now, rather than just pay a junker to haul it away! You won’t be able to if you skip out on oil changes and tire rotations. Repairs go hand-in-hand with maintenance, and the same lessons apply. If you put off a small repair, a little issue can become a big problem. Your home and your car are complicated and expensive things, and it’s easy for issues to jump from one system to another: a leaky pipe means a call to the plumber, but if you leave it untreated, it could mean a call to the plumber, and the water damage repair specialist, and a contractor, and a painter… and, hopefully, to your insurance to pay for this big mess you’ve made! Skip the stress and make small repairs a part of your maintenance routine. Be the person who knows their mechanic and local handyman well, rather than the person who meets them for the first time after years of neglect. You want these professionals to like you because they know you well, not because you subsidize their whole operation with your mistakes! Do you want a sunroof in your car? How about a custom patio for your home? These are expenses, of course, but they don’t just affect your day-to-day life. They also affect the value of your property. It’s worth considering how a custom improvement will affect the selling price of your home or car before you choose to invest in it. A patio will boost the value of your home, while a pool will generally reduce it. Like your car, these sorts of things aren’t investments in the sense that they’ll make money (don’t expect a patio to pay for itself! ), but they are something of an investment in the sense that your enjoyment isn’t the only thing your money gets you. You’ll see at least a portion of your patio investment come back to you when you sell your home, just as you’ll see a portion of your car’s original sale price come back to you when you sell it off. Your enjoyment matters most in both cases, but the investment aspects of the purchase are important enough that they should be considered from the start! Your home and your car probably aren’t your path to riches – they’re not that type of investment. But as the most expensive things you own, they’re worth protecting and improving. Make sure that you care for your biggest purchases and protect their value.